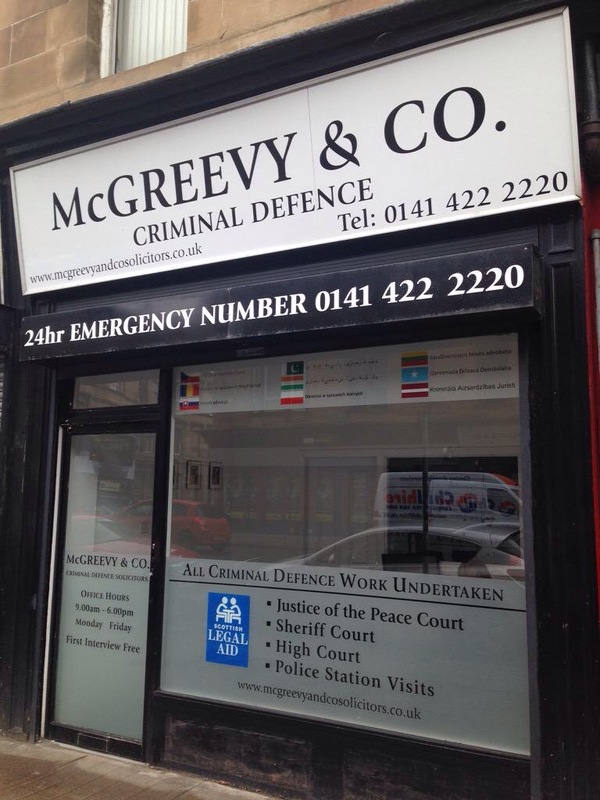 At McGreevy & Co., Solicitors we spend a lot of time on the road travelling to courts and prisons across Scotland. We therefore appreciate the importance of your driving licence to you. We can assess your eligibility for Legal Aid which may not be available due to the nature of the charge or your financial eligibility. In those circumstances we will provide you with a quote for the work required. In most cases we will quote a competitive fixed fee which will offer some certainty regarding the costs involved. If you have been charged with a road traffic offence, feel free to contact our Umar Hussain who will provide you with initial free advice. He can be contacted at McGreevy & Co., Criminal Defence Solicitors, 370 Victoria Road, Glasgow or by telephone on 0141 422 2220 or 07872122601.